Located on the southern edge of Chandler, Springfield is a 749 home community of active adults. This the ideal place for those who want the benefits of active adult living in a small town setting where there is always something to do but life does not feel like a constant battle against the crowd. This community was created between 1996 and 2000 and has a variety of quality resale homes that continually come on the market so there is always something nice to choose from. There is a range of ranch style single family dwellings between 1000 and 3100 square feet to fit any family’s needs and budget. The homes are either two or three bedroom and all come with a two car garage and tile roof. Attractions in the Springfield area include the 18-hole Springfield executive golf course which is a reasonably priced par 61, 4231 yard course; a clubhouse with fitness center hosts many groups and events, hobby rooms utilized by the many local crafting or collecting groups, a movie theater showing a variety of current selections, as well as a library and two outdoor pools for swimmers as well as those that enjoy a more relaxed approach to fun on the water. In the surrounding area one can find tennis courts, bocce ball, horseshoes, shuffleboard and a basketball court. There is no reason for anyone to get bored in this town. When ranging just 15 miles a variety of entertainment opens up including golf courses, casinos, theatres, and museums, as well as the Chandler Fashion Center Mall, which has hundreds of brand name stores, restaurants and botiques. Easy access to the Phoenix area is provided by the Santan Freeway or I-10, both of which are within five miles. Local programs or community groups include such lifestyle hobby's and skills as Gardening, Karaoke, Crafters, Bingo, Bible Study, Book Clubs, Koffee Klatches, Porcelain Paint, Euchre, Pinochle, Crazy Dice, Mexican Dominoes, 65 Rummy, Mah Jongg, Cribbage, Canasta, Bridge, Bowling, Water Volleyball, Pea Pool, Golf, Ladies and Mens' billiards, Water exercise, Tennis and more. Finally a well stocked library with plenty of computers and community rooms makes this a good place for those whose lifestyle is inquisitive as well as active. 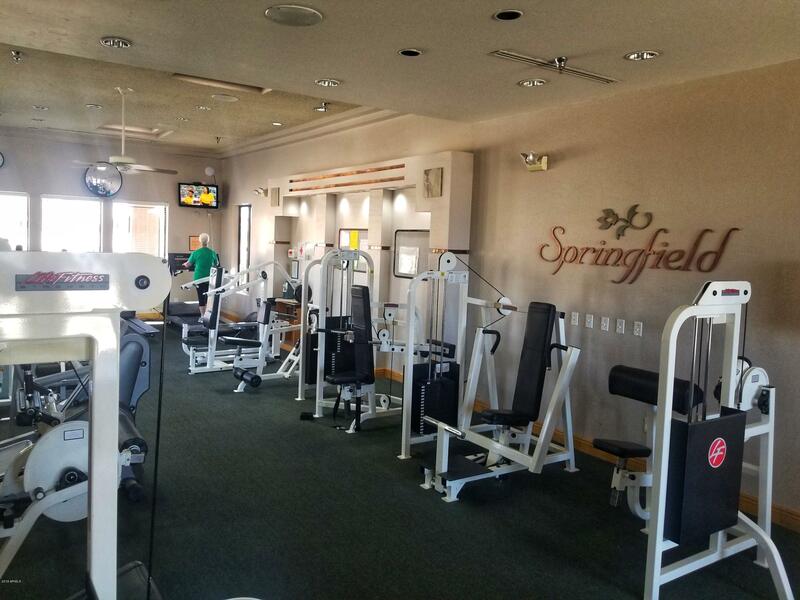 All in all for those who are seeking an engaging and active community with a small town unstressfull feel, Springfield in the Chandler area of Arizona is an exelent choice.